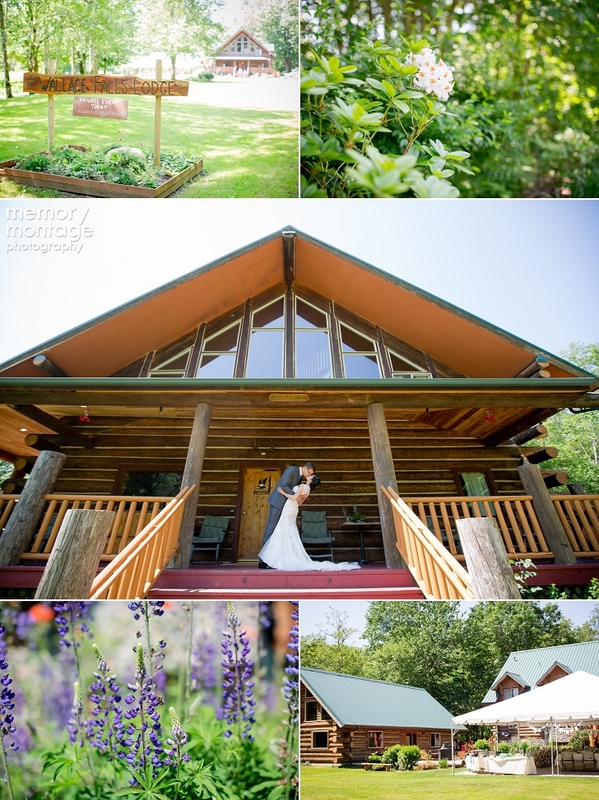 Tavis and Amy photographed this wedding at the amazing Wallace Falls Lodge in Gold Bar, Washington.The lodge is located in Wallace State park and is an spectacular destination wedding area. Neither Jenn nor Chris are originally from Washington state, so their guests had also traveled from all around the world! 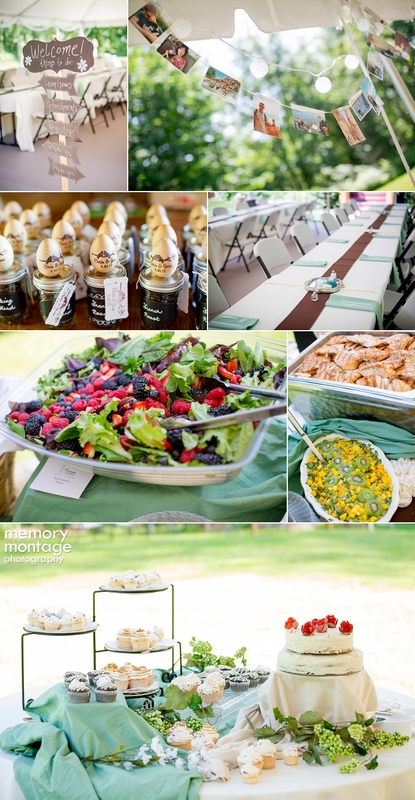 Lodge weddings are always memorable because the bridal party and family get to stay all weekend and make a fun, memorable trip out of the event. 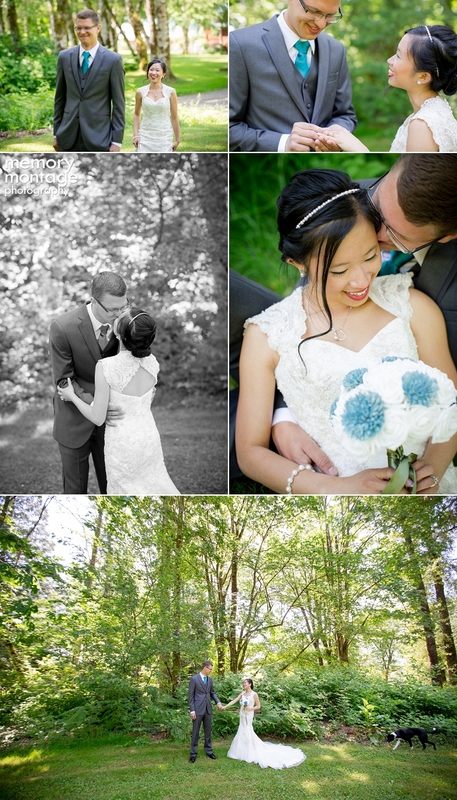 The bride and groom both studied Biology in school and that is where they met. They have been together for several years. 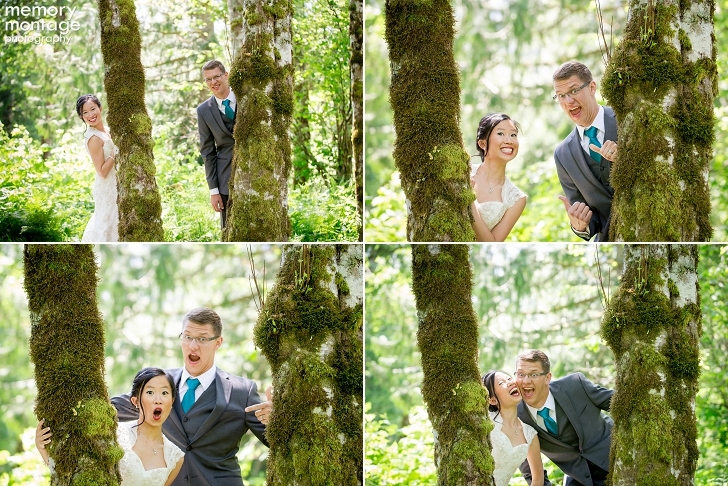 They started their wedding day off with a hike to Wallace Falls. Jenn and Chris love nature and, as one of the bridesmaids said during the speeches, "They notice the little things, and life is better when they are around." Jenn and Chris were very affectionate toward each other and the groom repeatedly kissed the bride's hand throughout the day. That is something that we don't often see and it's apparent that they really adore each other. 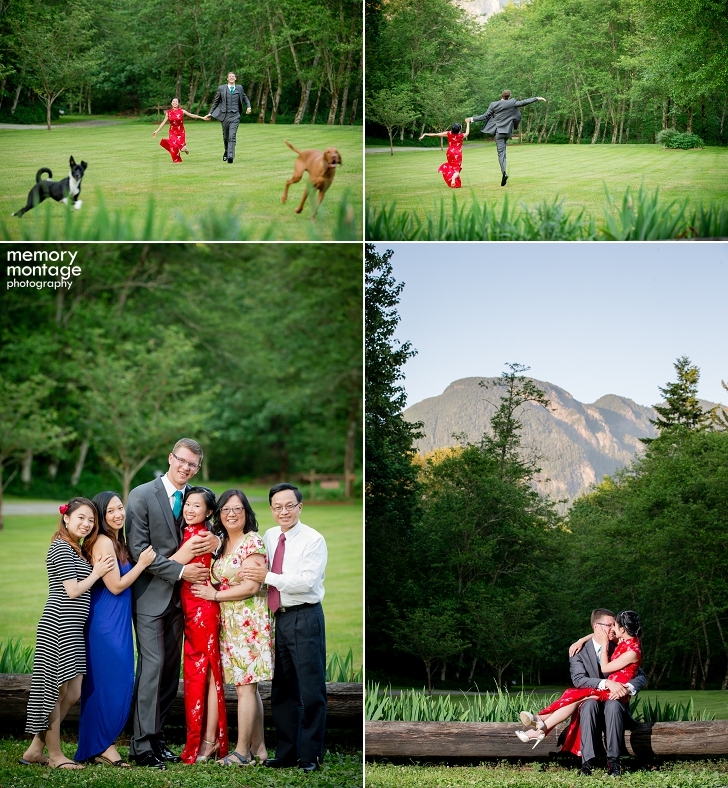 There were many heirloom items from China throughout the wedding as well. During the reception, the bride wore her mom's wedding dress from 29 years ago. Her mom also gave her jewelry from China. 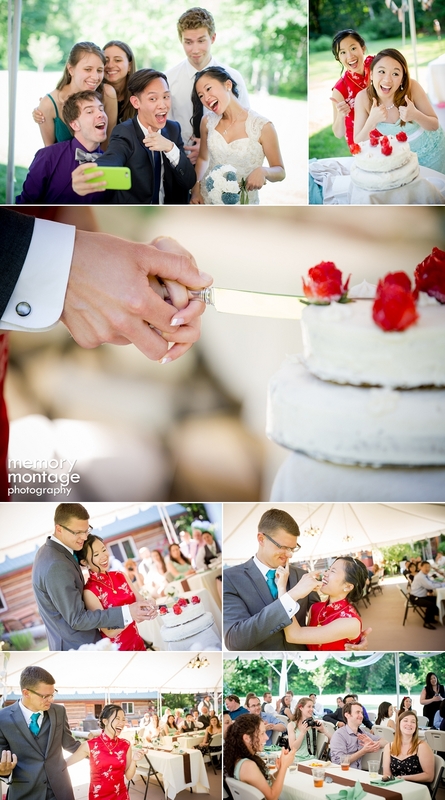 The knife they used to cut the cake has been at every Lang family celebration and has been in the family since 1909. 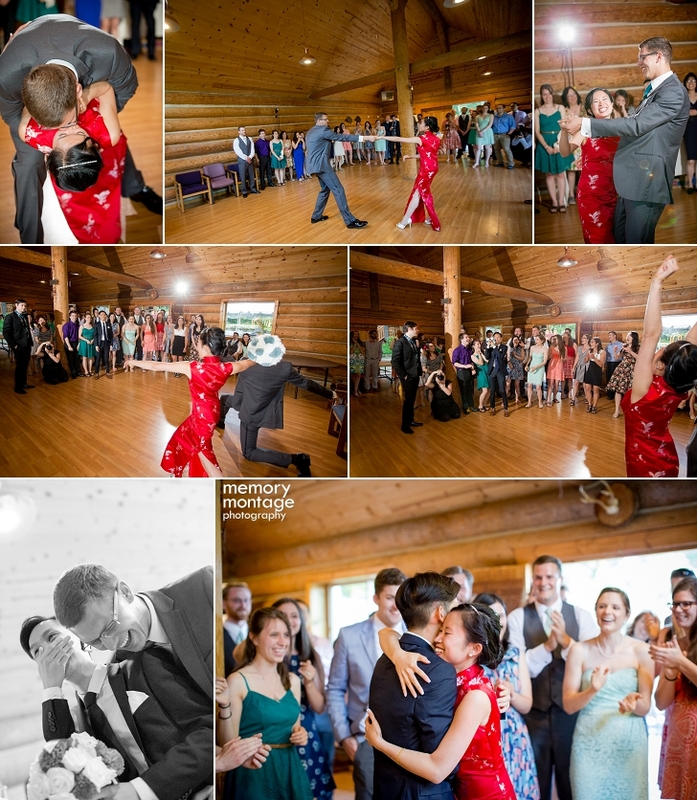 During the ceremony, they shared the vows they had personally written for each other and both of them teared up. They secured their rings on a carabiner and passed the rings around to each member of the audience before they put them on their hands. This was their way of making every person part of their marriage commitment. 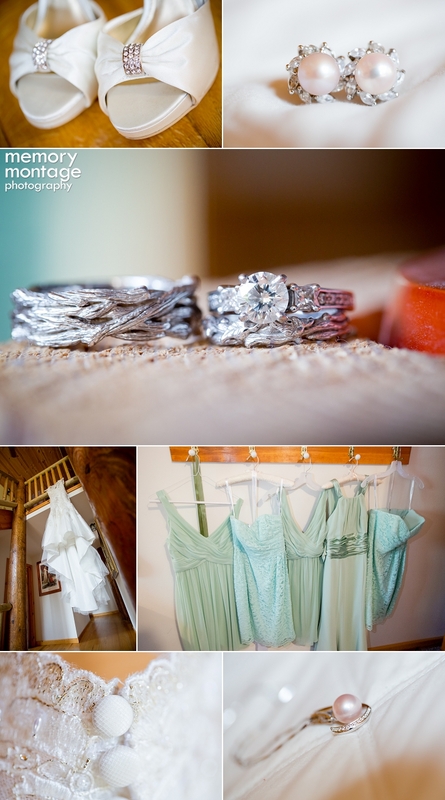 The wedding bands and bouquets were handmade on Etsy. Congratulations Jenn and Chris! May your love continue to grow.